We are a family owned company located in Central Florida specializing in flooring sales, installation and repairs with a stress-free, customer friendly approach. We understand your needs for affordability, time-efficiency and expert craftsmanship, which is why we offer competitive prices and excellent installation services. We strive to make our customers happy, and we walk with you every step of the way, from choosing the perfect floor for your project to seeing it completed. You can also shop on the go with our mobile showroom! Our mobile showroom will provide in-home or in-office consultation at no additional cost. 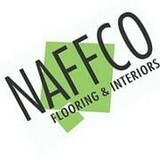 Keeping our busy customers in mind, we have made it easy to shop for flooring. Please call or email us today to schedule your appointment, we will be happy to help! Classic yet contemporary, hardwood floors are one of the most beautiful types of flooring a home can have. However, if not installed correctly or damaged, a floor can threaten a home’s entire interior aesthetic. 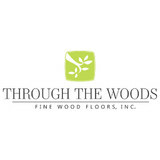 That’s where Thonotosassa, FL hardwood flooring installers and dealers step in. Whether you need a hardwood floor installation or replacement, or just want some guidance on the types of hardwood flooring available, these Thonotosassa flooring pros can help. What kinds of services do hardwood flooring installation professionals in Thonotosassa, FL provide? 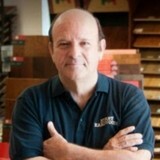 Find hardwood floor experts in Thonotosassa, FL on Houzz. Search the Professionals section for Thonotosassa, FL hardwood flooring installers and dealers or browse Thonotosassa, FL photos of completed installations and look for the professional’s contact information.